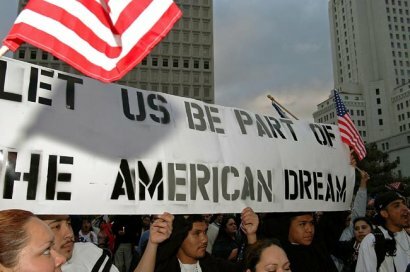 Thousands of protesters gather in downtown Los Angeles, CA on Monday, April, 10, 2006 to speak out for immigration reform. The event is part of a National Day of Action and additional events take place across the country. One million people were expected to participate across the country today.